TapSongz.com | Tomorrow's Greatest Music Today - German Duo Milky Chance on the Rise in the U.S.
German Duo Milky Chance on the Rise in the U.S. Sometimes just doing what you love actually pays off in the real world of “success”. This has undoubtedly been the case for German natives Clemens Rehbein and Philipp Dausch, who, right out of high school, pursued their passion for music-making by forming an amateur alternative duet. Both possessing dense music backgrounds, Rehbein became the singer/songwriter of the pair, while Dausch took on the role of DJ and technical expert. In the past two years their band, dubbed Milky Chance, has rocketed into popularity with its self-produced album, Sadnecessary, prompting an extensive European tour. “The album took about 8 months to create. The writing process and so on took about half a year and then we needed about 1 month for recording and mastering,” the band said. The album made the charts in Germany, the Netherlands, Austria, Switzerland, Portugal, and the United Kingdom, and their hit single, “Stolen Dance”, also made the U.S. Hot 100 and reached the top three in the Billboard Alternative Songs chart. That precept—love of music as the sole guiding principle—comes across very clearly in Milky Chance’s style. Flashy pop nuances and catchy but insubstantial popular musical devices are all but absent in Sadneccessary. The mood is undeniably alternative folk, but Milky Chance’s eclectic taste in musical genres pokes through in the form of subtle references to electronic layering, reggae rhythm, and jazz finesse. Rehbein’s voice hints of rocker, but it is softened to come across as reserved and emotive, finding a place somewhere between Beck and The Tallest Man on Earth. 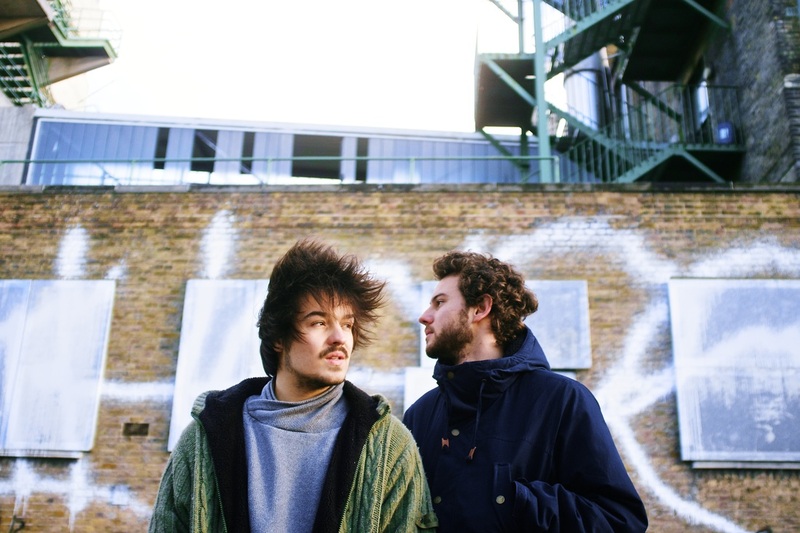 “Stolen Dance” and the other hit song from Sadneccessary, “Down by the River”, exemplify what Milky Chance stands for musically: simple, artistic expression of life driven by a love of song. The guitar and percussion in both songs—the only accompaniment to Rehbein’s heart-wrenching lyrics—create simple, repetitive backgrounds that still succeed in steering clear of the border into monotony. Rehbein’s voice, pensive and intense, muses a contagious melody, better than catchy, that brings together songs resonating with nostalgia and reminiscent of love lost. Milky Chance’s next tour includes many stops in the English-speaking world, including Australia, New Zealand, Canada, and the United States. The pair tells TapSongz that they are “curious” about their upcoming shows in the new countries, and we look forward to seeing how the band’s already significant following in the United States grows.